The venerable photo-sharing website will for the first time since 2005 be run by a photography-focused company. Here’s what’ll change and what won’t. SmugMug will change Flickr, but keep its brand and website separate. If your own photos are among the tens of billions at Flickr, the photo-sharing service SmugMug agreed to acquire from Verizon’s Yahoo, you might be wondering about now what will become of them. When announcing the acquisition deal Friday, SmugMug made it clear it’s not folding Flickr into its existing photo-sharing business or scrapping a brand established in 2004. But Flickr’s future is up for discussion now, and some photographers are uncertain and worried. SmugMug doesn’t want Flickr members to fret about the change in ownership. “We are not planning on Flickrizing SmugMug or SmugMugging Flickr,” Chief Executive Don MacAskill said in an interview. MacAskill even donned a panda suit to pay homage to Flickr’s mascot and inside joke. But what about the details? Here’s a look at what we know so far, in FAQ form. What’s this SmugMug company anyway? SmugMug, founded in 2002, is a site where professionals and amateurs can share and sell photos. Unlike many internet sharing services — Facebook’s Instagram, most notably — it’s not free to use. Plans cost between $4 and $30 per month, and those fees have funded a profitable business with no advertising and no outside investments. And while Flickr has adapted to social network trends on the internet, for example by showing your contacts’ photos instead of your own when you log on, SmugMug has largely sidestepped the social network frenzy. No. SmugMug may not be your cup of tea, but it cares a lot about Flickr’s core mission, photography. It’s not clear how well it will handle its new responsibilities and improve Flickr, but it seems unlikely that Flickr will be worse off than it was during periods of neglect or inattention at Yahoo. Will my Flickr photos turn into SmugMug photos? SmugMug costs money. Is this the end of free Flickr accounts? SmugMug is acquiring Flickr from Verizon and its Yahoo subsidiary. And what happens to Flickr Pro accounts? Nothing, at least not yet. The paid accounts, which cost $6 per month or $50 per year, come with various benefits, most notably no advertisements. There’s a new promotion for new or returning Flickr Pro members, with a 45-day free introductory period. Do I still have to log in to Flickr with a Yahoo account? “Customer feedback so far: 1. Fix login. (Knew this, but urgency amp’d),” MacAskill tweeted. It’s not clear how long that will take, but once it takes place, you’ll no longer have to use a Yahoo email address to sign on. “Over time, Flickr’s sign-in will be separated from Yahoo’s and when that happens, you’ll have the ability to choose how you log in,” SmugMug said. What if I don’t want to be part of SmugMug-owned Flickr? You can take your photos and delete your Flickr account. Here are instructions on how to download all your Flickr photos. Even if you don’t want to delete your Flickr account, it’s a good idea to have your own copy of your shots if they’re important to you. Unfortunately, you’ll have to retrieve your photos in batches of up to 500 at a time. “I suspect there are some thorny technical issues limiting that right now. Something we can likely improve and solve with time, but we don’t have a magic wand today,” MacAskill said. What happens to Flickr’s Creative Commons support? SmugMug has been more about photographers selling their shots than giving them away, but Flickr will keep its support for Creative Commons. Flickr has been a major supporter of the Creative Commons, a licensing mechanism that lets people share a photo or other content so others can use it in various ways — similar in some ways to open-source software. For example, many images on Wikipedia are used through Creative Commons licenses. There are more than 1.4 billion works released under Creative Commons, and 381 million of them are on Flickr, Creative Commons CEO Ryan Merkley tweeted. Also sticking around will be the Flickr Commons, a collection of royalty-free, often historic images from dozens of libraries, museums, government archives and universities. “So excited to collaborate and grow the priceless world treasure that is CC-licensed work at Flickr, especially the Flickr Commons,” MacAskill tweeted. Will programmers be happy tapping into Flickr? More than a decade ago, Flickr pioneered the ability for outside programmers to tap into Flickr’s massive image library, for example letting people write apps that would upload photos to Flickr or publish a blog that showed Flickr photos. If you’re one of those developers, you’ll be happy to know that the tool, called an application programming interface, or API, should be reinvigorated. “We feel strongly that the open API is one of the strengths of the platform. We will not only support, but invest there,” SmugMug tweeted. But Friedl, who uses APIs from both Flickr and SmugMug, added a note of caution. For example, SmugMug released a new API in beta four years ago and still hasn’t labeled it production-ready even though it retired the earlier official API. Overall, Event photographer Paul Clarke assesses SmugMug’s acquisition as giving Flickr “a glimmer of hope.” He’s tried to drop Flickr several times over the years but found nothing that could match it, he said in a blog post. Be respectful, keep it clean and stay on topic. We delete comments that violate our policy, which we encourage you to read. Discussion threads can be closed at any time at our discretion. © 2016 All Rights Reserved. 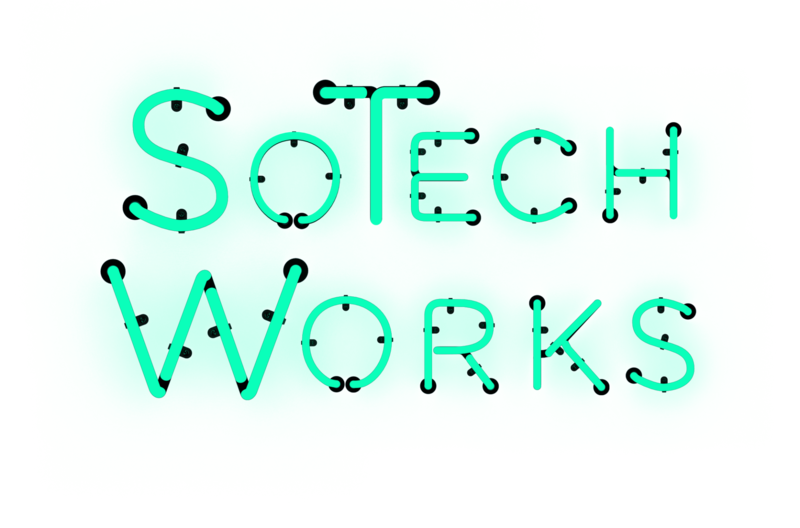 Created by SoTech.